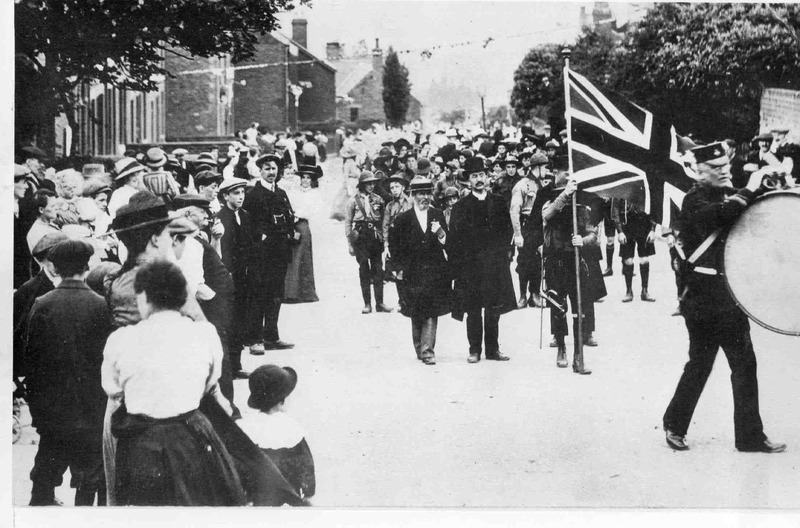 Parade up High Street near Ashley Lane – about 1917. See note below, Photo courtesy of V. Hopkinson. Parade up High Street near Ashley Lane – about 1917. Rev. G.L. Jenkins, Congregational Minister with tash and tall hat. Mr Rowley is the drummer. Endowed School in background.